Our residential and commercial teams work in a fast-paced and quickly changing world. To stay on the cutting edge, we need individuals capable of staying on top of all the latest industry platforms, systems, and practices. Residential & Commercial Protection Since 2002. Brinton Security is looking for individuals who are team players and understand what it takes to get the job done right, the first time! Our impressive list of satisfied clients along with our new technologies in automation, security, audio, video cater to a wide variety of residential and commercial clients. Sorry, there are no open positions at this time. To be considered please email your resume to careers@brintonsecurity.com. Thank you! Brinton Security Services, is expanding their Security Consultants team in the Northwest Arkansas area. We secure homes, metal buildings, garages, shops, portable and commercial buildings. We have moved forward progressively, and are constantly rolling out new lines and products. We conduct in home and business security reviews with the client and demonstrate to them the best way to protect their home or business with a security or fire protection system. Our goal is to keep home and business owners from falling victim to a fire or burglary. Our quality speaks for itself, our office is equipped with the same equipment that we are going to be protecting our clients with. * Project and understand our company work ethics. * Great self-starter and task oriented. * Develop personal networking and be active in professional organizations. * Retain product knowledge and organizational skills. * Strong in productive communication to customers. * Must update the customer, answering questions, let them know the next steps. * Generate Sales Revenue. * Maintain reports on prospective clients and lead generations. * Review all paperwork ensuring the accuracy of each contract and change order details and that it is completely filled out. *Able to produce detailed project cost estimates. * Expand our outreach to residential and commercial owners. * Flexible and meet other duties or needs as assigned. *Will follow up with the interested clientele as well as create new contacts. * Oversee the referral program and expand it. * Computer knowledgeable, proficient in Excel, Word and Powerpoint, etc. If this sounds like a great job for you then please call our office at (417) 858-0561 or send your resume to set up a time for an interview. Brinton Security is seeking a motivated individual to fill a full-time position as an Alarm Technician. Experience is always a plus but we are willing to train the right person. Brinton Security considers our employees one of our most valuable resources, as they are on the front line as our 1st encounter with most of our customers. We offer a team approach to customer service and utilize the latest technology to provide the ultimate protection. 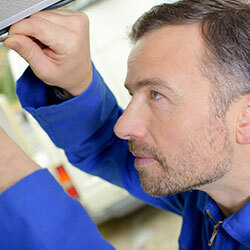 Ability to provide on-site maintenance for residential and commercial burglary systems. Ability to work independently with minimal supervision. Ability to troubleshoot technical problems. Must have excellent customer service skills. Clean Driving record. Must be punctual, professional, polite, honest & willing to take on new challenges every day. Must possess a positive attitude and be willing to interact with customers, employer, co-workers and other trades personnel at all times. Burglar Alarms, Fire Alarms, CCTV, Controlled Access systems, Gate Systems, Whole House Audio, Home Theater and so much MORE in Missouri, Arkansas, Kansas and Oklahoma. The candidate will have the ability to provide maintenance for residential and commercial burglar and fire systems; also the ability to work independently with minimal supervision and troubleshoot technical problems.